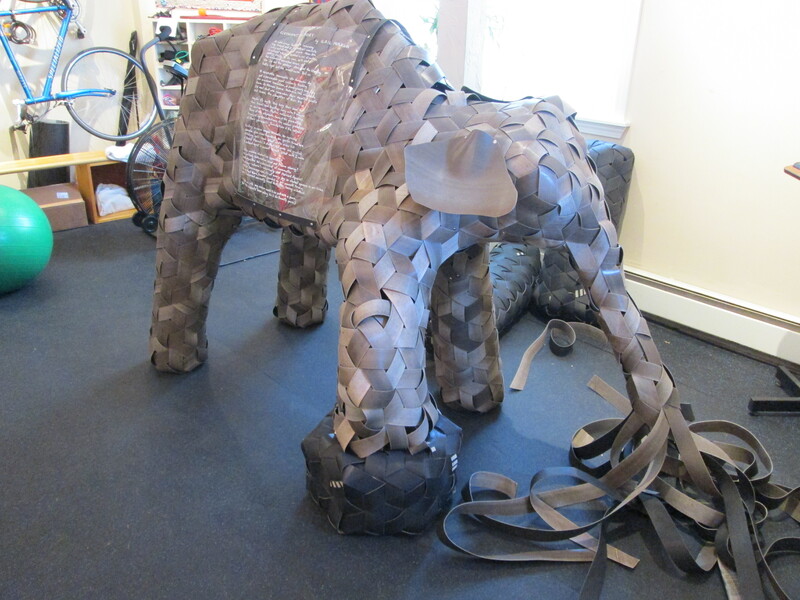 Here are pictures of the madweave elephant I created from recycled treadmill treads. 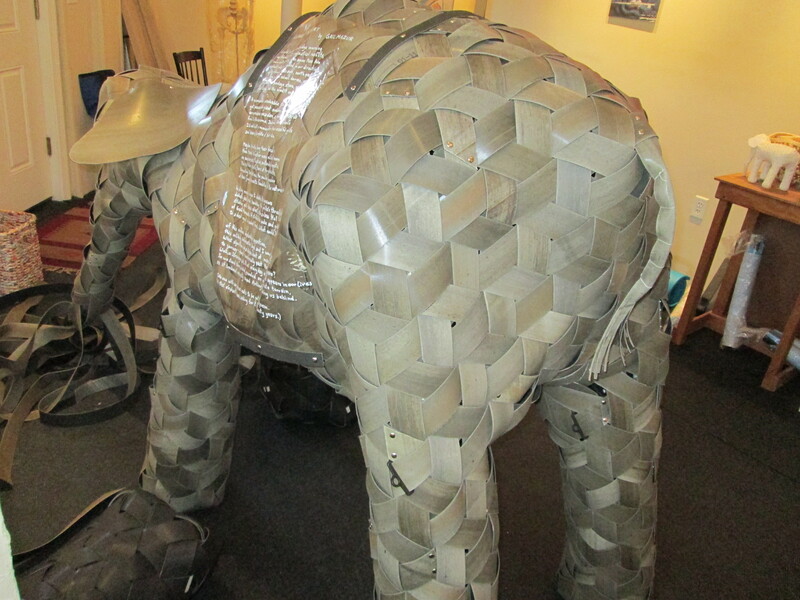 I built two paper elephants to get the turns and shape right. It took 6 months to create. She is 4”10 ” tall and 6 ‘ long from tail to trunk. The poem on the side is written by Gail Mazur and is still unpublished.